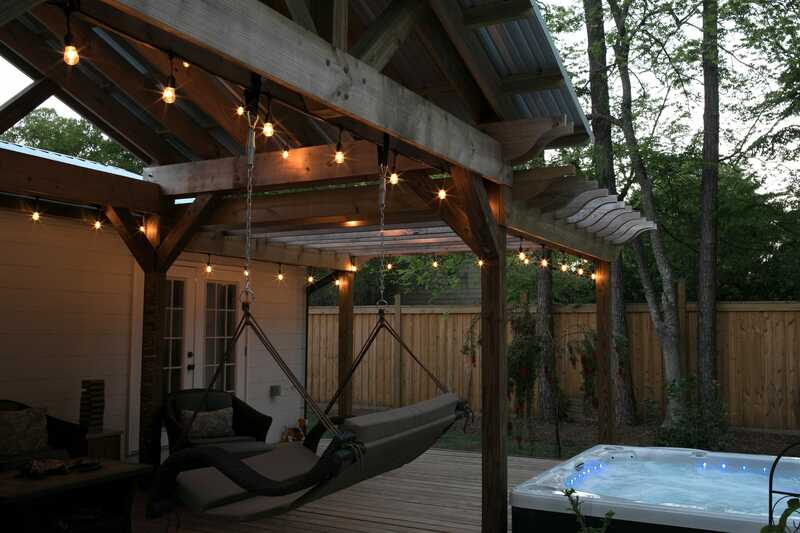 Pergolas can make your backyard even more intimate and relaxing. With the use of this simple addition to your home, a pergola slowly transitions the inside of your home to the outside, making it ideal for entertaining at any scale. Pergolas are more than just beautiful; they’re functional. They can create shade or privacy when installed in your backyard. Find an escape in your backyard, even in the middle of a Florida summer. Create the perfect area to show off your outdoor kitchen or create a relaxing space for your guests to unwind. FloridaScapes offers a variety of options when building your one-of-a-kind pergola. You can choose from cedar, pressure treated pine, and cypress options. We can create the perfect pergola for you and your home. 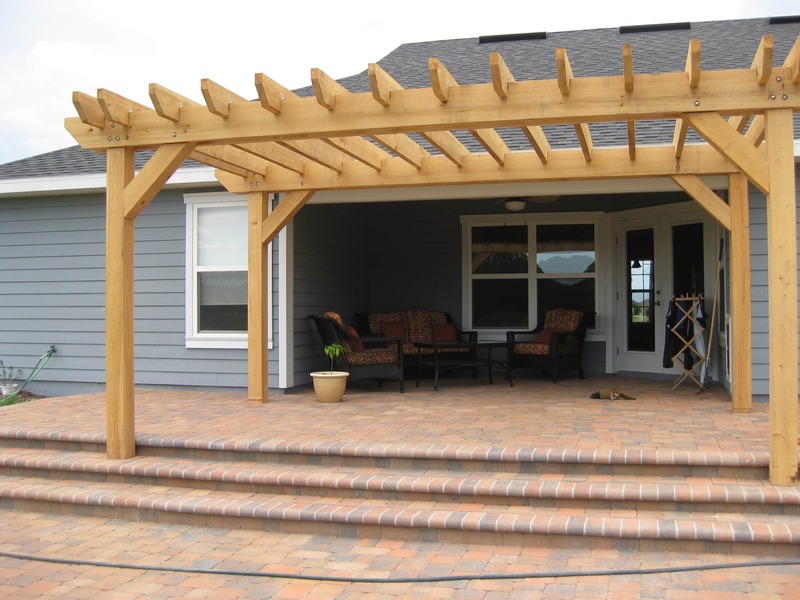 FloridaScapes is skilled and capable of installing a pergola for any outdoor space, large or small! Pressure treated southern yellow pine custom pergola. 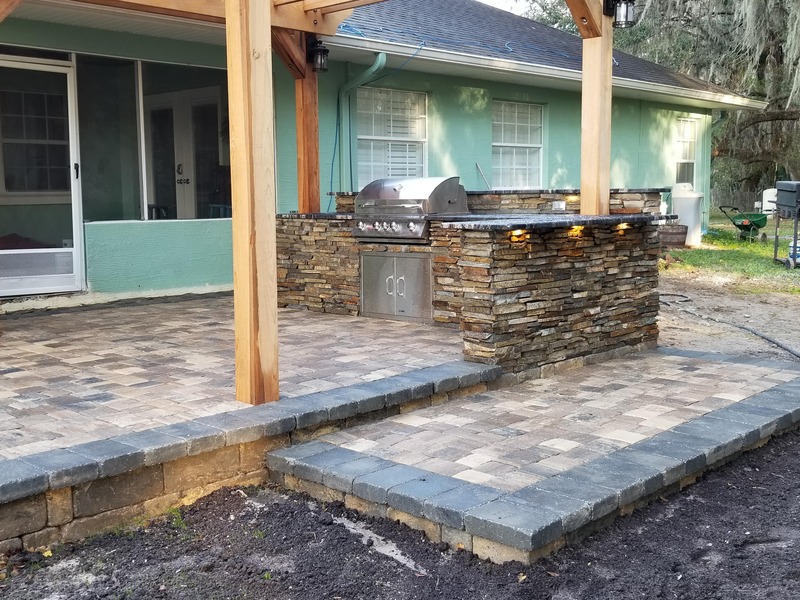 Concrete paver patio and wall block, outdoor kitchen, cypress pergola, and low voltage lighting. Paver shape-Old Town, color-Sierra. Block shape-Keystone Stonegate, color-Sierra. Block cap color-granite. Natural stone veneer facing on kitchen. Stainless steel kitchen components. Concrete paver patio, coping, and pressure treated southern yellow pine pergola. Paver shape-Old Town, color-Old Chicago. Coping color-Old Chicago. "I have seen first hand the hard work and dedication that all of the employees put forward to make every project as outstanding as possible." Kelly W.